Thinking about becoming a Digital Nomad? ​If you’re considering becoming a Digital Nomad, wandering the world while making your living online, you could do a lot worse than read ‘Just Go!’ by Skip and Gabi Yetter. Skip and Gabi took the plunge in 2010, selling their house in the US and giving away most of their possessions before taking a one way flight to Cambodia. Skip grew up in Massachusetts, and ran a group of small newspapers before becoming Executive VP of a global newswire service. Gabi meanwhile was born in India and lived in Bahrain and South Africa before working as a journalist at the same newswire service. They lived in New York, California, Washington DC, Boston and London before marrying in 2006. On leaving the US, they went to Cambodia to volunteer with Volunteers In Asia where they worked at local NGOs in Phnom Penh as English Resource Advisers. In addition, Skip did some consulting work for various businesses and Gabi wrote freelance articles and authored two books (The Definitive Guide to Living in Southeast Asia: Cambodia and The Sweet Tastes of Cambodia). They left Cambodia in 2013 and, since then they have been house-sitting around the world, in France, the UK, Greece, Italy, Portugal, Spain, Cyprus and Nicaragua while working on Just Go!. All of which very much qualifies them for the book’s subject, leaving the US to live abroad. 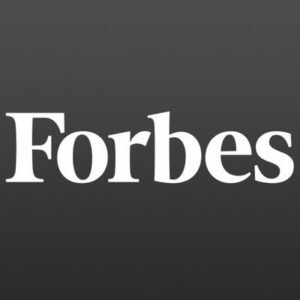 Topics they cover include making the break, personal security, healthcare, and costs. As well as Skip and Gabi’s story, Just Go! includes a variety of other people’s stories who have set out on the adventure of living abroad. How long have you been living abroad for? We left the US in 2010 with a one-way ticket to Phnom Penh, having no idea when (or if) we’d return. Since we’ve been on the road and away from “traditional” life, we discovered we have little desire to go back to the way things were. I’ve lived abroad most of my life, and Skip and I love the way that travel broadens your mind, opens your heart and exposes you to lives and people you would never meet by staying in one place. We love the experiences – meeting people who are different to us, being in places where we can’t speak the language yet but can communicate with a smile, figuring out how things work in other parts of the world and, most importantly, connecting with individuals from all over the world (from tuktuk drivers in Cambodia to guides in Morocco) who have become integral part of our lives. The only thing we miss is our families. There’s nothing we can’t get, anywhere we go, but we miss the connection with the people we love. 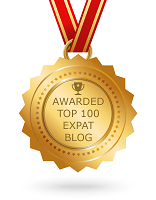 What advice would you give someone who was thinking about moving abroad? Do it! If someone has a desire to experience life in another country, it’s the best gift they can give themselves. It’s not always easy, there are often bumps along the way and there will be challenges and stresses – but it’s all part of the experience. In our book, we interviewed dozens of people (married, single, rich, poor, with kids and without) who decided to make a change in their lives by moving abroad and they all have the same message: don’t hesitate. Do it now. 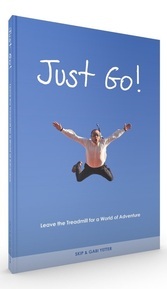 You can get hold of ‘Just Go!’ at http://www.themeanderthals.com/justgo/.